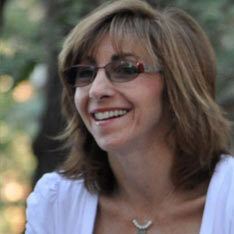 Candi serves as a hospice and community chaplain in the Temecula Valley of the Inland Empire. Candi has a part-time counseling practice out of her home, facilitates a monthly cancer support group and av Women’s Jewish spirituality group. Candi’s sees her chaplaincy role as a bridge to help Jews to connect more deeply with the spirit of Judaism. Candi also feels a strong commitment to assist all humanity regardless of race, creed, religion or disposition on their spiritual journey. Healing Energy work; Legacy Creation; and Creative Ethical Wills. This thesis addresses the long-standing issue of Jews leaving the fold after struggling to find inspiration, spiritual connection and meaning within Jewish practice. Many Jews have not experienced the transformational power within the practice of Jewish prayer, rituals and traditions, seek a connection with the energy of the Divine, and do not know that the power of dwells within one’s own spirit. This project explores and elaborates on a journey of spiritual awakening through Jewish prayer, ritual and traditions and addresses the human yearnings for deeper faith and trust in a provisionary God. The three main premises within this thesis are: 1) Spiritual awakening leads to holier encounters within the self, God, and others; 2) A practice of self-examination, self-reflection, and penitence clears the way for divine light to shine in all areas of life; and 3) Choosing to connect with our higher self, the Divine Spirit within, opens the heart and soul and leads to our individual and collective tikkun, healing, in each of our lives and in the world as a whole. This thesis will correlate particular Jewish prayer, rituals, and traditions with key revelatory processes in the field of Spiritual Psychology and with the engagement of the twelve steps and traditions of the Alcoholics Anonymous (AA) recovery process. The framework of this capstone project is designed much like a series of Rav Rook’s essays of wisdom literature where specific themes, prayers, rituals, and concepts are exemplified with biblical, philosophical and psychological sources and literary works. It is my intention to inspire Jews across the world to seek deeper meaning and connection to the Divine, as they understand, and Jewish practice in service to elevating the human consciousness in the world.